More than a cookbook, Clean Food is a feast for the senses that will nourish mind, body, soul — and the planet, too. With more than 200 fresh, seasonal, and tempting vegan recipes, it will help us all eat the way we want: close to the source. From the White House kitchen to fast-food restaurants, everyone’s discussing “the sustainable diet.” But what exactly does that mean? 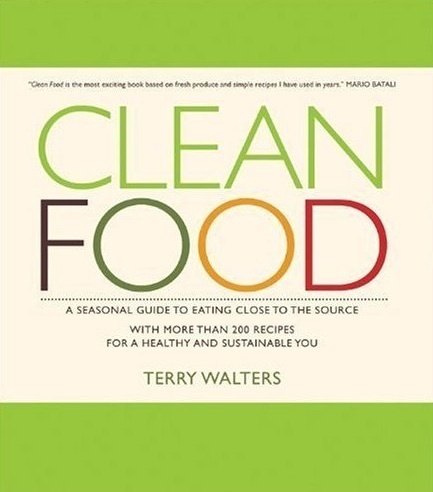 Terry Walters explains it all, and shows us how to eat seasonal, unprocessed, and locally grown foods that are good for us and the environment. Walters emphasizes tastes as much as ingredients in delicious recipes that include whole grains, vegetables, legumes, sea vegetables, nuts, and seeds, and range from Crispy Chickpea Fritters to Spicy Thai Tempeh with Cashews to a vegan and sugar-free Chocolate Lover’s Tart that’s absolutely luscious. Since the recipes are arranged from spring to winter (with a chapter for “anytime at all”), it’s easy to find the right meals for every season of the year. Walters’ dynamic personality shines through on every page, particularly in her extensive introduction to the world of whole foods (which includes a glossary of ingredients). This is certain to be the cookbook of this and every season — the one that will help us make positive, sustainable, and yet delicious changes to the way we eat every day.